Each week, these groups of 5-9 men meet for biblical study, prayer, encouragement, and mutual accountability. To equip us to be the spiritual leaders of our family, church, and community (Eph. 5:25-26; 6:4; 1 Tim. 3:7). The men involved in each discipleship group make the following commitments. Attendance: I will attend each weekly session and will notify another member of the group if something prohibits me. Preparation: I will come to each session prepared, having read the agreed upon study material. Prayer: I will pray regularly for my Christian brothers. Accountability: I will hold my brothers accountable in their walk with God and ask them to hold me accountable for mine. The primary focus of each Bible-based study selected for use in the Men of Iron groups is always progressive sanctification. We are not opposed to studying books on doctrine/systematic theology, but we have other provisions for that in our Bible institute. The focus for our men’s discipleship strategy is practical theology; that is, the application of right doctrine toward the goal of right living. We desire to come alongside each other to counsel one another and build up one another (1 Thessalonians 5:11). 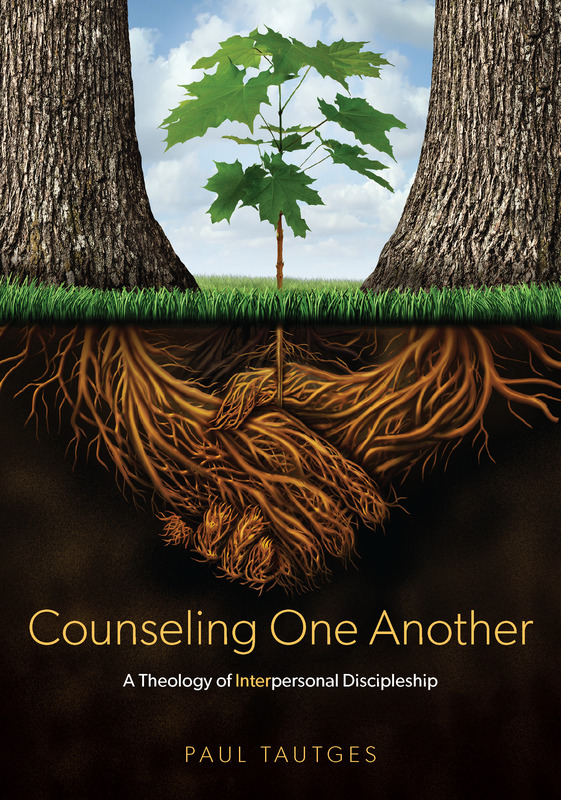 A significant aspect of our biblical counseling philosophy is the conviction that much “counseling” takes place organically, as believers in Christ learn to apply the one-another commands in love. Therefore, we deliberately make our study-emphasis the doctrine of sanctification being worked out in our daily lives, as we do battle against sin—not in isolation—but in community, with one another. As we develop godly friendships we are also able to encourage, comfort, support, and strengthen one another in times of suffering. Here are some of the studies our groups have used over the years. My “Men of Iron” group has become an instrumental part of my walk with God. I have become very close with the other men in our group and we have entrusted ourselves to one another, to help keep one another accountable. As a believer, I always felt a desire to take in the Word, but as it turned out I was only taking it in when it was convenient to me. Through my men’s group I have grown significantly, and in spite of past growth, I know I still have enormous strides to make before I become the man God wants me to be. I also know now that without this encouragement it would be easy to go back to being the independent Christian, and drift further away from being the man that God wants me to be. One of the important things that I looked for when choosing a church was support from other men. Not just friends that will be there for you when times are tough, but the kind of guys that are willing to risk that friendship by challenging you in your daily walk. My “Men of Iron” group has been both to me. I believe I have grown spiritually as much as a result of my “Men of Iron” group as any other contributing factor. This is where the Sunday sermons become daily application. In my opinion, it is not wise to try to live the Christian life without this kind of support. Since I have made the commitment to be part of one of the “Men of Iron” groups my life and walk with Jesus Christ has vastly improved…I implore those of you who have not made time in your schedule to be accountable to other men of God to consider getting involved. To have other things of the world take your time is dangerous to your relationship with Christ and can lead to self-deception and sin that perhaps you cannot even see. We need each other’s help. God says in Hebrews 3:13, “exhort one another daily, while it is called ‘Today,’ lest any of you be hardened through the deceitfulness of sin.” My men’s group helps us to heed this warning. The more our men grow in the application of biblical love and doctrine to their own lives, and in loving encouragement to one-another, the more they become effective “counselors,” whether or not they ever hold the title. Local churches will utilize different disciple-making strategies, but we need to all agree that pursuing one-another relationships is not optional. If we want to be involved in biblical ministry then we must deliberately build each other up “until we all attain to the unity of the faith and of the knowledge of the Son of God, to mature manhood, to the measure of the stature of the fullness of Christ” (Ephesians 4:13). A focus mind has the ability to organize people and I believed that it is a goodly intention to get men more closer to their creator brought about this group. may God increase your wisdom in handling what is entrust to your care in the fear of God and in love. thanks.